The Card Safe Basic is the all around talent within the Card SafeT product family. With its unobtrusive onyx colour, it discreetly stores bigger-sized memory cards such as Compact Flash, Memory Stick or MMC, as well as SD cards. Thus, the Basic is the ideal accessory for all users of digital photo and video cameras. Inside the Card Safe Basic, memory cards are protected against humidity and dust as well as electrostatic charge. 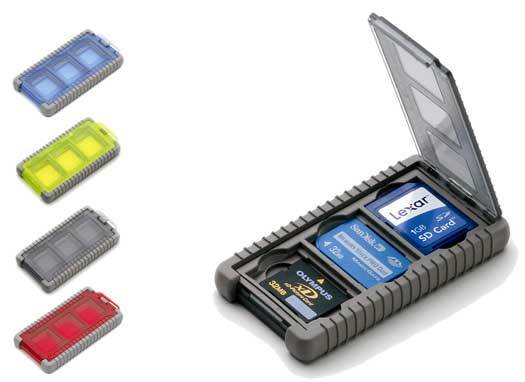 Four compartments offer space for several different memory cards. Through the transparent windows, users can directly see which card is kept in which compartment. Weight: 62 gr / 2.2 oz. The Card SafeT Basic is the all around talent within the Card SafeT product family. Thanks to its small size, the Card Safe Mini is your everyday companion. 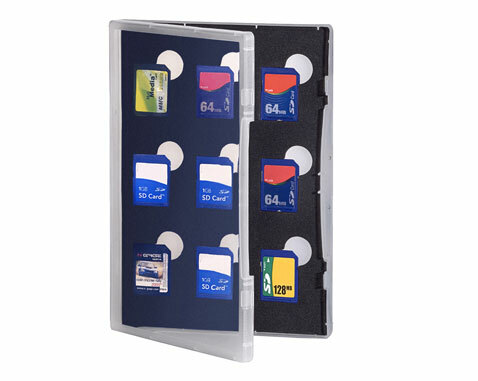 It allows you to store several different memory cards within. The Mini is especially designed for smaller types of memory cards such as XD, SD, MMC, RS-MMC, SD-Mini and Memory Stick Duo. This makes it the ideal accessory for your MP3-Player or your mobile phone enabling you to carry home even more mobile phone snapshots or listen to more top hits on the road. With the Mini, you can show your colours: available in unobstrusive onyx, blazing neon or the new stylish colours ice blue and rosso, the Card Safe Mini fits your individual taste. Sailing close to the wind or climbing right to the top: the Card Safe Extreme is ready for (almost) everything. It is the top of the range of the Card SafeT products. 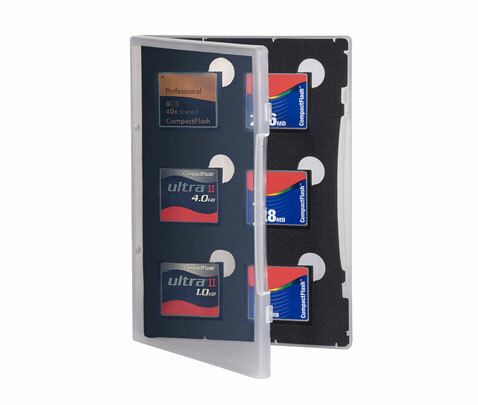 Like all other Card SafesT it protects memory cards against dust, humidity, shock and electrostatic charge. In addition, it is water and climate proof – thus fit for the next adventure trip into the desert. To ensure its outdoor quality, the Extreme has a reinforced hinge and a reinforced lock with stainless steel pins and a connector to attach it at the belt or the camera bag. 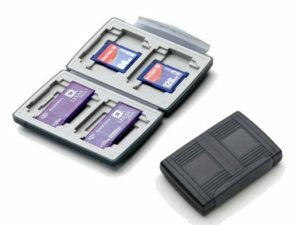 Inside the Card Safe Extreme are four compartments for bigger-sized memory cards such as CF-Cards, SD-Cards, XQD-Cards (model: All-In-One) as well as Micro SD and Memory Stick cards. The Card Safe Extreme adapts to its surrounding in unobtrusive onyx or sticks out in blazing neon. Following current trends, it is now also available in iceblue and rosso. Weight: 90 gr / 3.2 oz. 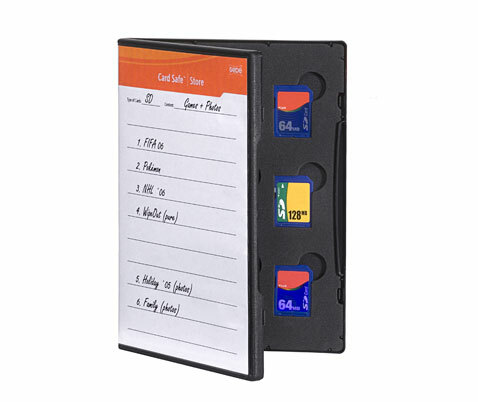 The Gepe Card Safe Extreme “All in One” design differs visually from the known models by the red-colored inlay that holds 8 Micro SD cards and 2 XQD-cards. Of course, it can also hold up to 4 CF or SD cards. The new Card Safe Extreme “All in One” is available in the colors onyx and neon. 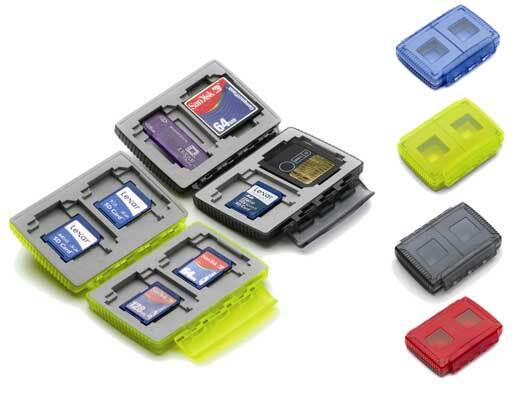 The Card Safe Store is the ideal tool to archive digital memory cards. At a first glance, the Card Safe Store looks like a DVD cover. 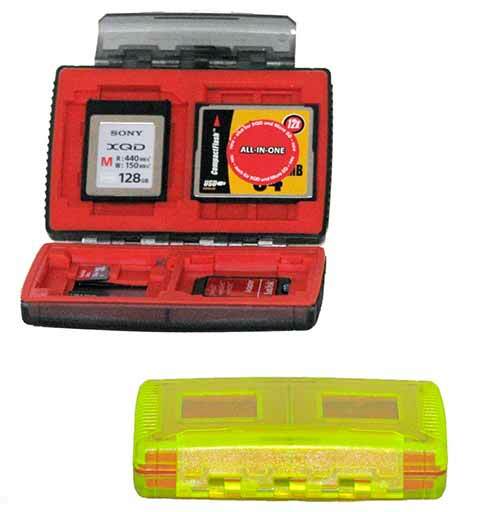 Inside it consists of a foam rubber insert where memory cards can be safely kept in specific compartments. Gepe’s EasyGrabT ensures easy and quick removal of cards. 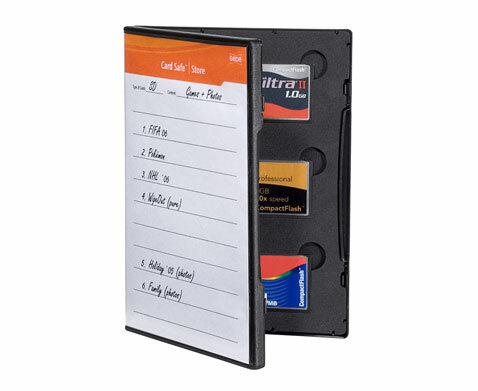 The Card Safe Store is available in two versions: the black version features an index sheet on the outside and flaps on the inside where index prints or other paper can be kept. The second version is transparent without index sheet or flaps. As it is transparent, users can see which cards are stored even if the Store is closed.